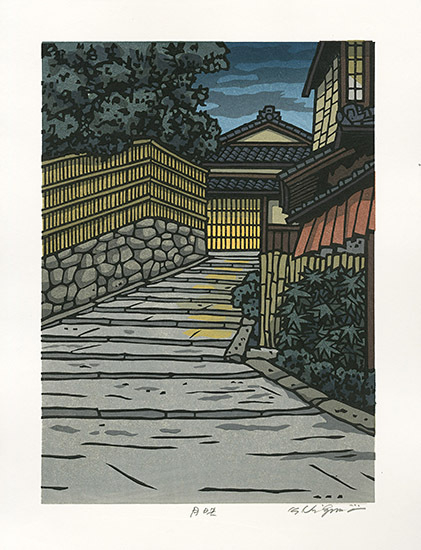 We have long found the prints of Katsuyuki Nishijima entrancing. 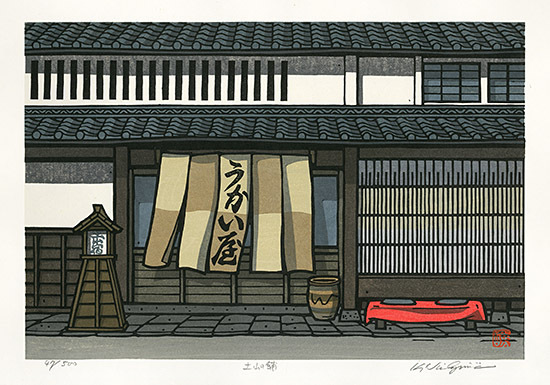 He shows us the best of Japan, capturing its natural beauty and the architecture of yesteryear that still exists in hidden away in parts of the cities and the countryside. 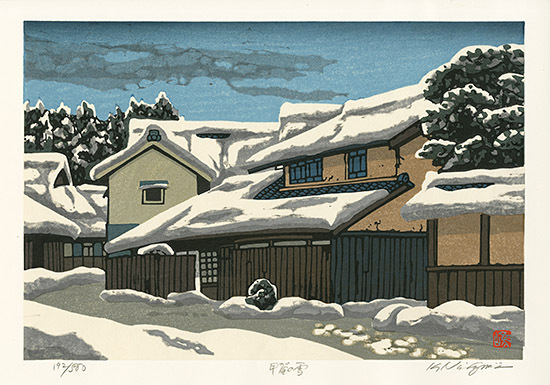 A dazzling panoply of sunsets, mountains, historic thatched farmhouses, old towns, spring blossoms, lakes and rivers and snowy winter scenes appear. 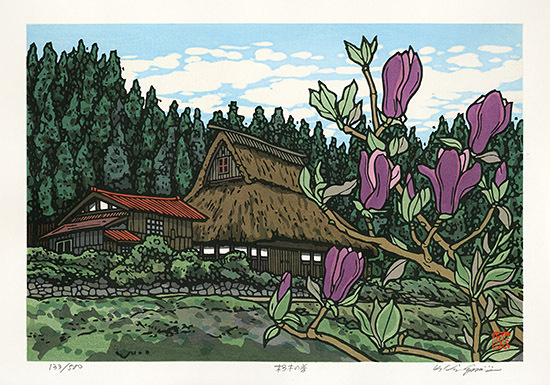 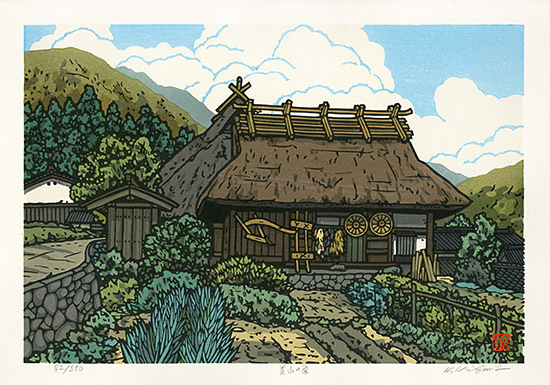 No Nishijima prints show living creatures, just architecture and natural beauty. 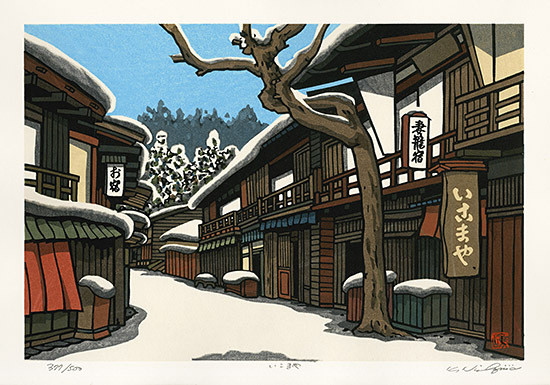 A member of the Sosaku Hanga movement, he studied printmaking at the Mikumo publishing house in Kyoto from 1964-1968. 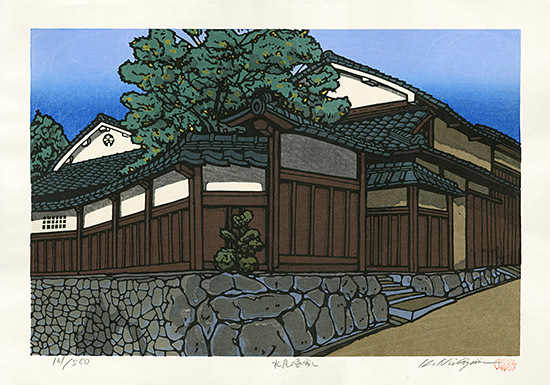 He was also active in exhibiting independently and with other Kyoto artists. 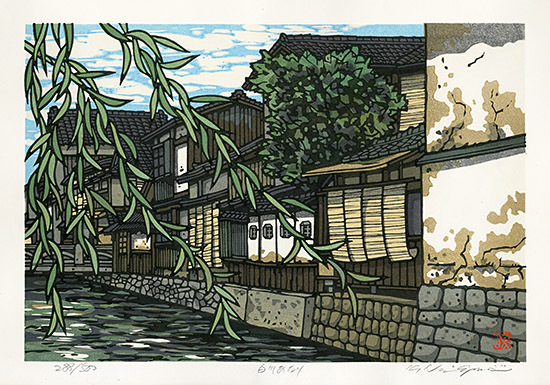 Using the traditional centuries old method of printmaking he draws, carves and prints each print himself. 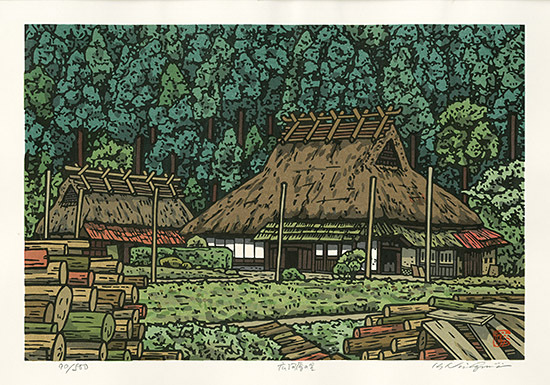 The prints vary in size and are on a high-grade paper of a creamy color in excellent condition with vivid coloring. 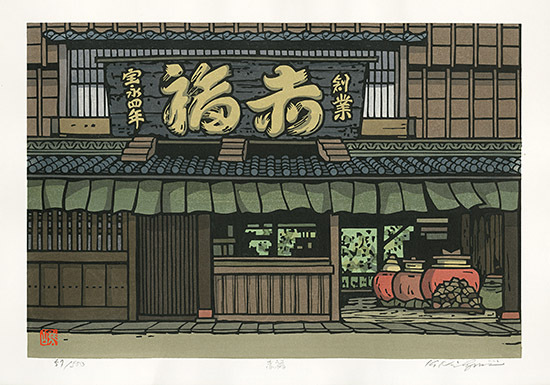 Most are limited edition prints, numbered, titled, and signed in pencil and sealed in red.